Three-dimensional structures of proteins are a source of fascination for scientists, due to the beauty of their sequence-encoded architectures and their highly diverse range of functions. These functions include acting as powerful catalysts, signal receptors, and versatile molecular motors as well as being building blocks for macroscopic structures, thus defining the shape of multicellular organisms. How protein structure is organized and assembled at the sub-nanometer scale is of great current interest. Specifically, the discovery of stable substructures and supersecondary structures has inspired research into their potential use in rationally engineered proteins with tailor-made properties. Here, we show how the search for stable substructures in large proteins can benefit from recent advances in single-molecule force spectroscopy using highly sensitive dual-beam optical tweezers. 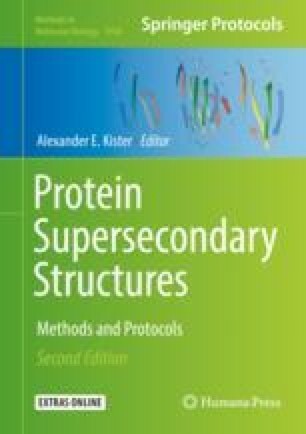 Our chapter provides a step-by-step description of the experimental workflow for (1) preparing proteins for mechanical interrogation, (2) interpreting the data, and (3) avoiding the most commonly occurring mistakes. The authors have both worked for several years in the single-molecule laboratory of Prof. M. Rief at the Technical University of Munich (TUM), Germany. The various controls and methods that we describe have been developed and optimized by many talented Ph.D. students and Postdocs; in particular, we would like to thank Daniela Bauer, Anja Gieseke, Dr. Ulrike Majdic, Dr. Marco Grison, Dr. Alexander Mehlich, Dr. Markus Jahn, Dr. Johannes Stigler, and Dr. Ziad Ganim for their valuable contributions to the assay development and for many discussions. We thank Dr. Benjamin Pelz for constructing the extraordinary “Duck Trap” optical tweezers setup (no ducks were harmed in the making of this instrument). G.Z. is supported by the CVTI reintegration grant. K.T. is supported by SFB863 from the DFG and a HFSP Cross-Disciplinary Postdoctoral Research Fellowship (LT000150/2015-C).